SEAT presents the perfect car for enjoying both life and performance: The new Leon ST CUPRA combines top performance in a unique way with style and utility. A maximum load space of 1,470 litres can accelerate from zero to 100 km/h in the Leon ST CUPRA 280 in just 6.0 seconds – that’s how fast versatility can be. 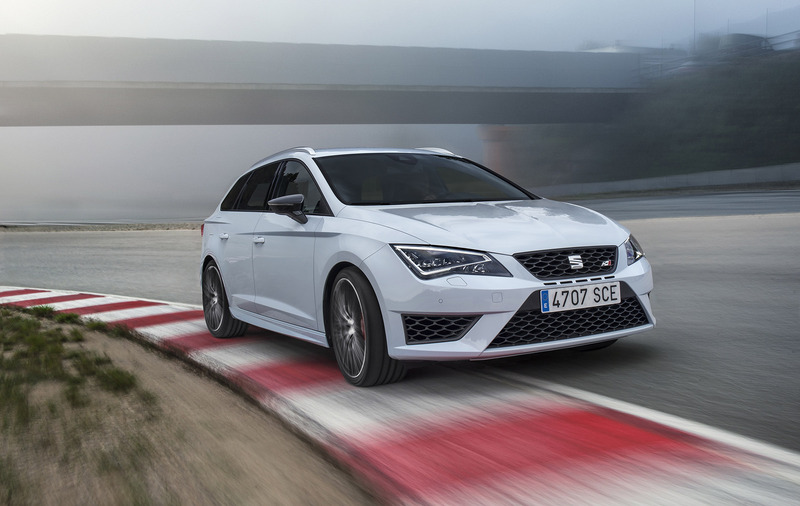 The stunning design, individual equipment options and excellent quality are further points that make the Leon ST CUPRA a very special proposition indeed. In true SEAT fashion, exceptional value-for-money is, of course, a given. Among journalists and customers alike, the SEAT Leon CUPRA is much admired as a Sport Coupé and as a five-door. 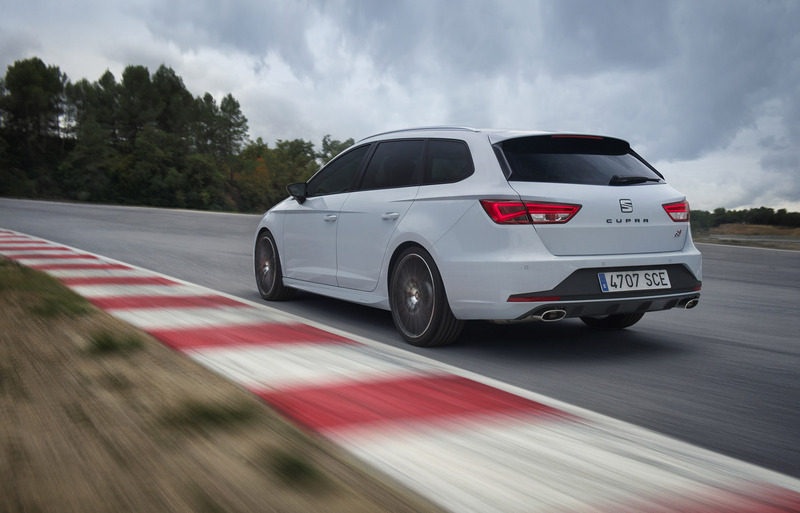 In the trade media cross Europe, the CUPRA immediately became a consistent winner in comparison tests; its owners love its design and road manners. 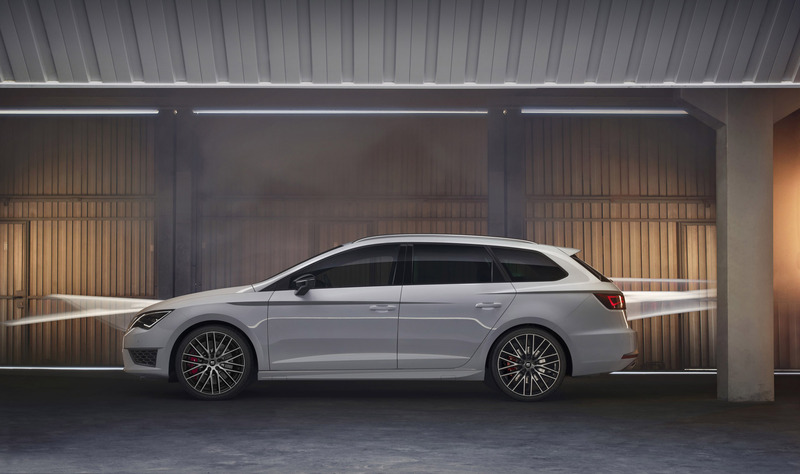 The new Leon ST CUPRA adds another dimension – the space of an estate. For work and family, for sports and hobbies – thanks to its versatility, the Leon ST CUPRA is the perfect sports car for all aspects of life. 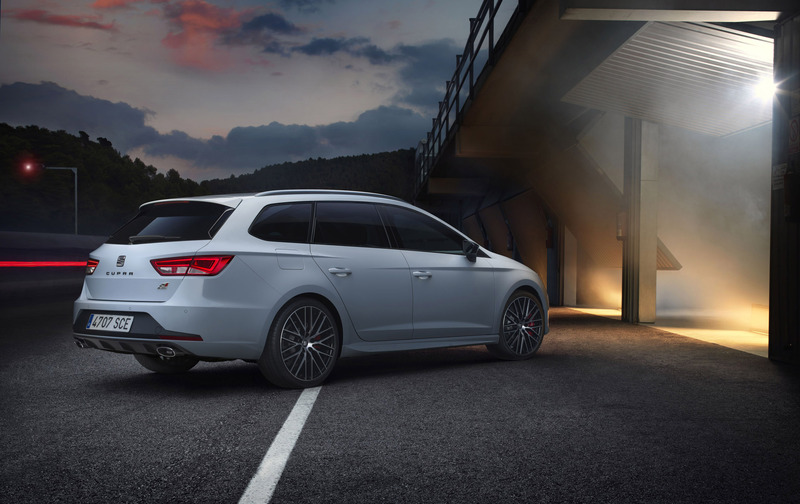 A concentrated package of hi-tech guarantees the enormous performance of the new Leon ST CUPRA. At the top is the 2.0 TSI engine with dual injection and variable camshaft timing. Depending on the version, it delivers an output of 195 kW / 265 PS or 206 kW / 280 PS. The DCC dynamic chassis control, the front differential lock, the progressive steering, the CUPRA Drive Profile and the standard-fit full-LED headlamps are further examples of its state-of-the-art technologies. 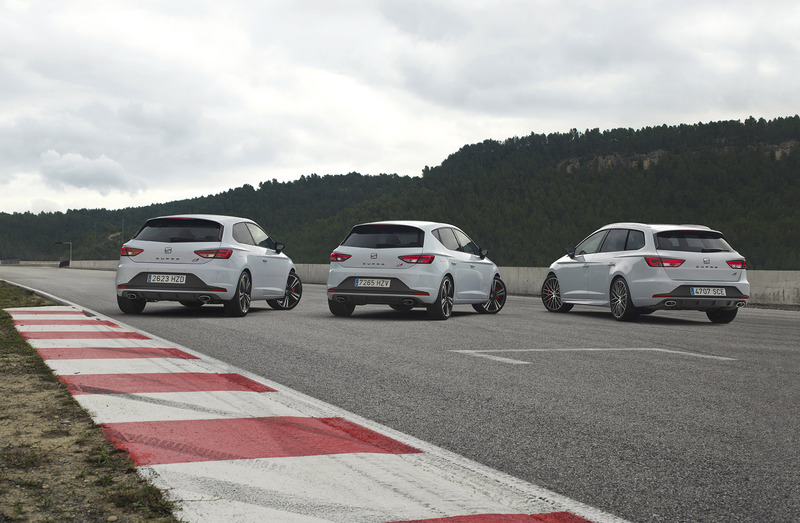 With the new Leon ST CUPRA, a success story is moving onto the next level. 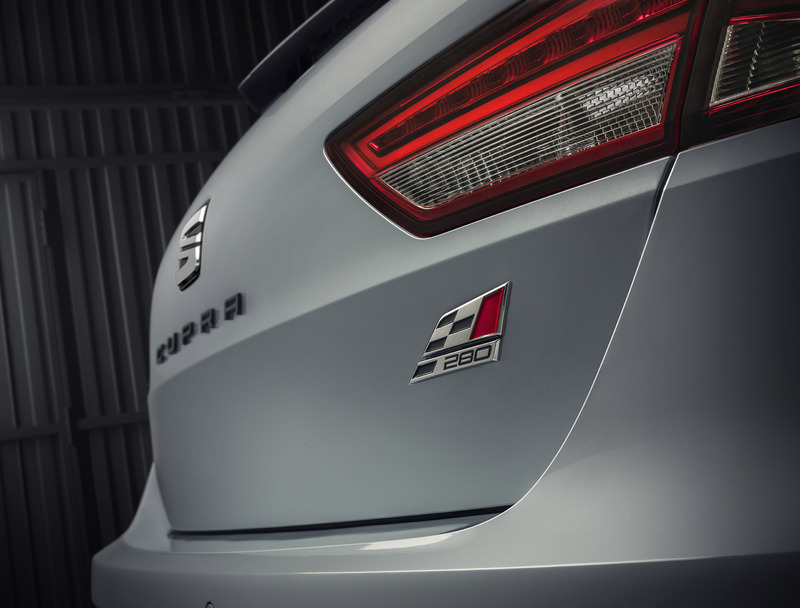 The first generation was launched in 1996 with the Ibiza, since when the dynamic CUPRA models have developed to become the icons of the SEAT brand. 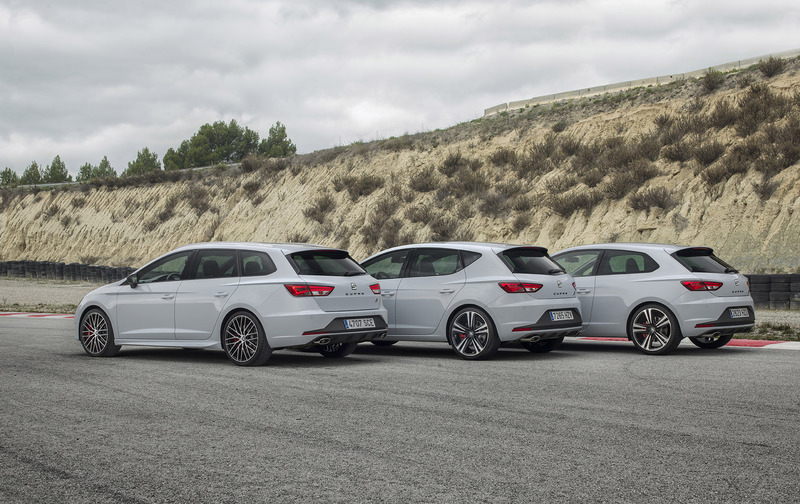 In the new generation, the Leon three-door is being offered for the first time as a CUPRA - and now the Leon ST, too. CUPRA stands for power, performance, dynamics – and the new Leon ST CUPRA fulfils all these promises perfectly. The CUPRA 280 with optional DSG transmission, the brand’s top model, catapults from zero to 100 km/h in just 6.0 seconds, and in 6.1 seconds with the manual gearbox. The regulated top speed of 250 km/h is a matter of course. The maximum torque of 350 Newton metres across the wide range of 1,700 to 5,600 rpm guarantees impressive pulling power in every situation. And the CUPRA with 195 kW / 265 PS and a maximum torque of 350 Newton metres is no more than a fraction slower. Its acceleration time stands at 6.2 seconds with manual transmission and 6.1 seconds with DSG. Against this, the new Leon ST CUPRA is astonishingly efficient. The average fuel consumption for both power variants is just 6.6 litres with DSG and 6.7 litres with the manual gearbox. This equates to CO2 figures of just 154 and 157 grams. 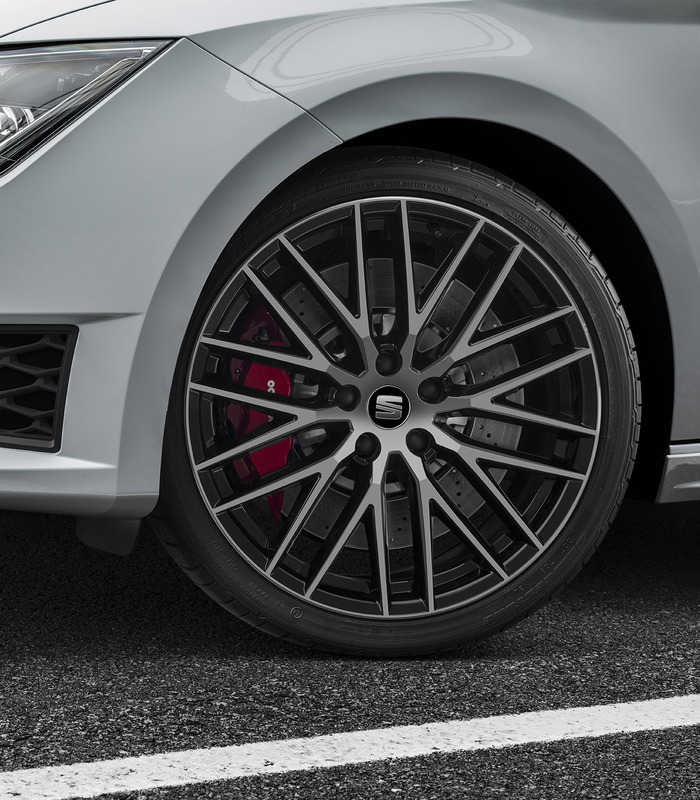 The great Leon ST Cupra performance can go even further with the Performance Pack that comprises larger Brembo brake callipers, specific wheels and special tyres. As a true sports engine, the 2.0 TSI reacts spontaneously to every movement of the gas pedal and is deliciously high revving – paired with a rich and refined sound that is aided and modulated by a sound actuator. The all-new power unit with its exceptionally responsive turbocharger is packed full with hi-tech and groundbreaking features – in the dual-injection system, the gasoline direct injection is complemented under partial load by manifold injection. Its optimum set-up reduces fuel consumption and particulate emissions. Cylinder fill is always in the optimum range – the camshafts are adjustable, with the valve lift system regulating opening on the exhaust side. The exhaust manifold is integrated into the cylinder head and is part of the innovative thermo management system. An improved coating and alloy for the aluminium pistons and the bearings keeps friction to a minimum. The CUPRA efficiency package also includes the start/stop system and brake energy regeneration. CUPRA has always been synonymous with outstanding dynamics, precise agility and amazing sporting character. 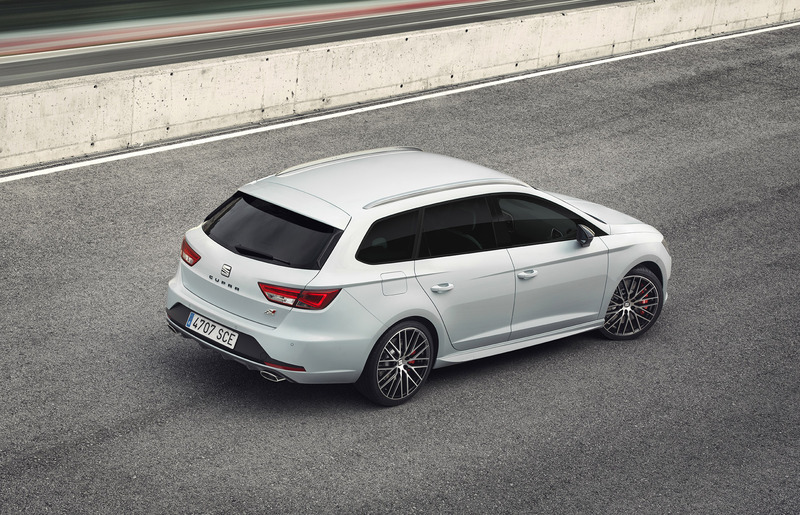 The new Leon ST CUPRA, however, manages to set the bar a good deal higher – in every dimension. With the DCC dynamic chassis control, front-axle differential lock and progressive steering all fitted as standard, the new Leon CUPRA achieves considerably faster laps on the track than its already impressive predecessor. At the same time, it is significantly more relaxed to drive, with a surprisingly refined level of comfort even on long motorway journeys. Safe and reliable deceleration comes courtesy of the CUPRA-specific, high-performance brake system, recognisable by its red callipers. The key fundamentals of the dynamics are low weight and a stiff structure. The systematic lightweight design of the new Leon family is also evident on the ST CUPRA. The new generation of the DCC dynamic chassis control developed specifically for the CUPRA is even more sensitive and responsive, adapting the chassis characteristics to the prevailing conditions in a matter of milliseconds. The same applies to the driver’s preferences - the CUPRA Drive Profile permits extensive individualisation of the ride. The new front-axle differential lock significantly improves the traction and handling of this front-wheel drive car. The system uses a multi-plate package that is hydraulically actuated and electronically controlled. The maximum locking force is 1,600 Newton metres and, in extreme cases, 100 percent of the drive can be sent to one wheel. The differential lock is integrated into all the handling systems like ESP and EDS. It improves not only the traction, but also eliminates torque steer. Furthermore, its sensitive control has no negative impact on steering feel. Also included as standard equipment, the progressive steering improves the agile handling of the new Leon ST CUPRA. 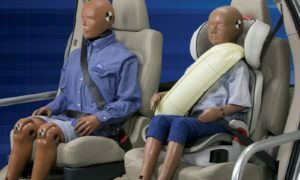 The driver experiences a precise and relaxed steering feel, less steering movement is required, reducing the number of grip changes, especially in cornering or parking manoeuvres. The steering in the new Leon CUPRA works with a progressive ratio through variable toothing on the rack. 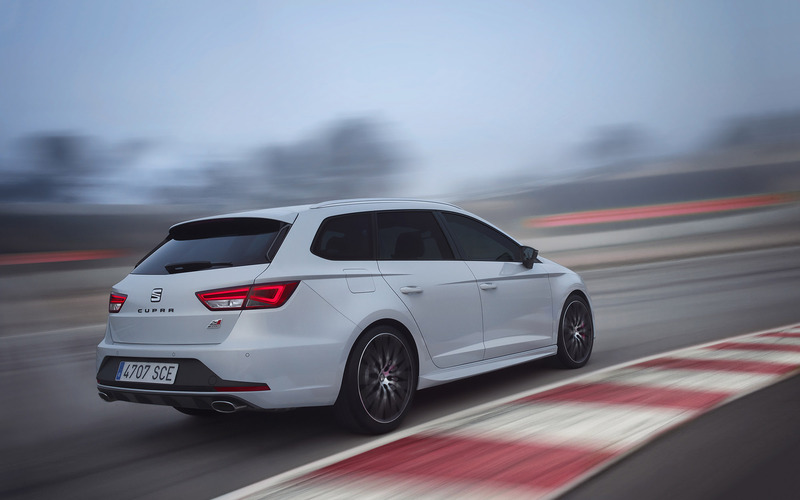 The ESP handling system has been further developed specifically for the new Leon ST CUPRA and enables a very sporty driving style with full retention of safety functionality. For extremely dynamic use, such as on a race track, it can also be deactivated in two stages – the first stage deactivates the traction control and puts the ESP into sport mode, permitting greater yaw angles. The second stage deactivates the ESP completely. The CUPRA Drive Profile enables the characteristics of the new Leon ST CUPRA to be adapted across a very wide range to meet the individual preferences of the driver. Alongside the Comfort and Sport modes, the CUPRA mode was, of course, a focal point for the engineers in Martorell. Throttle response is particularly sensitive in this setting, while the DSG operates in its sportiest shifting mode and the sound actuator supports the full tone of the turbocharged engine. DCC dynamic chassis control, progressive steering and the front-axle differential lock also operate at their sportiest settings. Emotional design is a great strength of the Leon family. For the new CUPRA, this has been developed one step further. The stretched silhouette of the ST estate version fits perfectly to the big, distinctive wheels. The new front end with its large air intakes and full-LED headlamps ensures a powerful look, as do the rear skirt with its diffuser effect and the two oval end pipes. The alloy wheels are exclusive to the CUPRA, while the red brake callipers and tinted side and rear windshields underscore its individuality. The focus of the interior is on the CUPRA sports steering wheel in its own unique design complete with shifting paddles for the optional DSG transmission, as well as the top sports seats in black Alcantara finished with white stitching. Black full-leather upholstery, likewise with white stitching, is also available. For extreme lateral grip, there are optional bucket seats. The pedals and entry sills are made from aluminium. The ST CUPRA 280 is visually differentiated by its unique 19-inch wheels with a titanium paint finish, the Aerodynamic Pack with the spoiler on the rear roof edge, CUPRA lettering on the brake callipers and black exterior mirror housings. The trim elements in the cockpit of this top sporty variant are a deep glossy black or, alternatively, classic chrome. 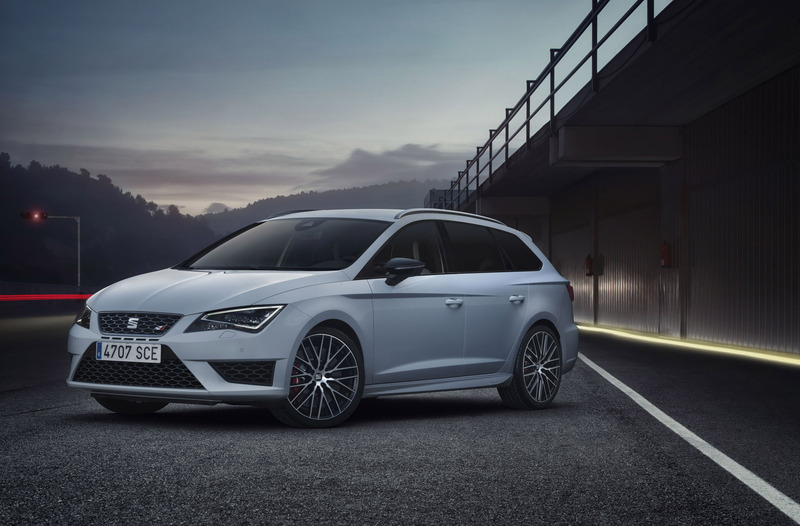 The Leon ST CUPRA also states its position as the top model in the SEAT range through the progressive steering, dynamic chassis control, front-axle differential lock, CUPRA Drive Profile and high-performance brake system with 18-inch wheels (CUPRA 280: 19-inch). Also standard equipment, are the full-LED headlamps and the LED rear lights. Alongside their distinctive design, LED headlamps have many further benefits – they illuminate the road ahead at a colour temperature of 5,300 Kelvin. Because this is very similar to daylight, it places very little strain on the eyes. When it comes to efficiency, the LEDs consume minimal energy – dipped beam, for instance, draws just 20 watts per unit. The top sports seats in Alcantara, the CUPRA steering wheel and the Media System Plus with a 6,5 -inch colour touchscreen are all among the standard interior features in addition to the extensive base equipment of the Leon FR. One particular feature in the CUPRA interior is the ambient lighting. LEDs in the door panels emphasize the contours of the interior design and add to the premium feel of the passenger compartment. At the same time, the ambient lighting offers occupants improved orientation and an even greater sense of spaciousness. The colour of the LEDs can be adapted via the CUPRA Drive Profile – they glow red in CUPRA mode, with the standard setting being white. 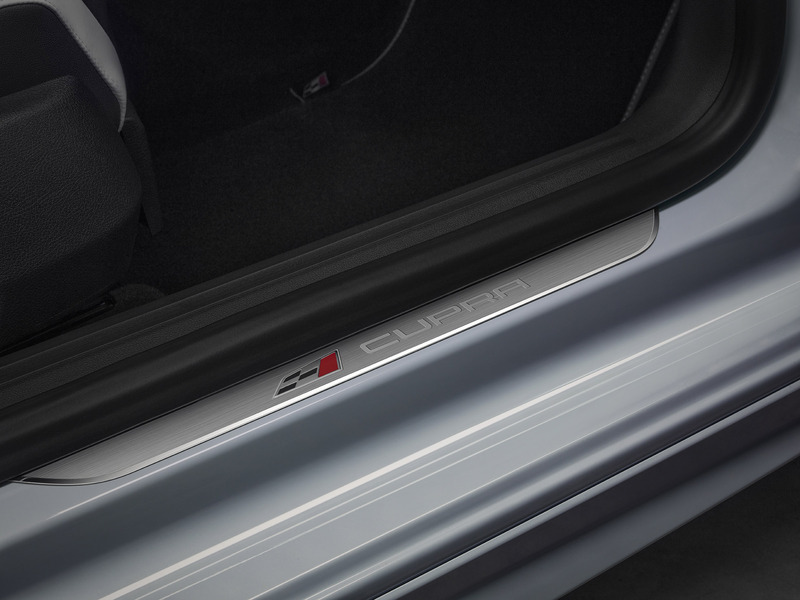 The look of the Leon ST CUPRA can be further individualised with the options White Line, Black Line and Orange Line. The surrounds of the radiator grille and wing mirrors and parts of the two-tone aluminium wheels are painted in the respective colour – with the Orange Line standing for Cup Racer orange.